Revenue of $411.1 million, up 15.2% year over year. Total Bookings of $475.6 million, up 14.1% year over year. Adjusted EBITDA of $87.7 million, up 22.5% year over year. Unlevered free cash flow of $79.7 million, an increase of 40.6% year over year. Customers were 13.6 million at quarter end, up 8.8% year over year. Annual ARPU of $119, up 6.8% year over year. Domains revenue of $215.0 million, up 10.5% year over year. Hosting and Presence revenue of $150.8 million, up 14.7% year over year. Business Applications revenue of $45.3 million, up 47.1% year over year. International revenue of $105.3 million, up 17.4% year over year. GoDaddy topped 4 million international customers during the quarter, more than doubling its total international customer base over the last 4 years. 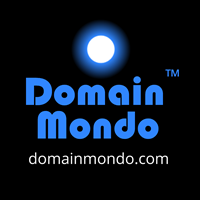 GoDaddy now has more than 61 million domains under management, representing over 20% of the global total. GoDaddy Pro continues to grow, with over 50,000 web professionals now signed up, half of which are in international markets. GoDaddy reported a net loss ($119.9 million) for the nine months ended September 30, 2015 which includes $51.1 million of costs consisting of $29.7 million in termination payments made in connection with the completion of the IPO and the $21.4 million loss on debt extinguishment associated with the prepayment of the $300 million senior note. 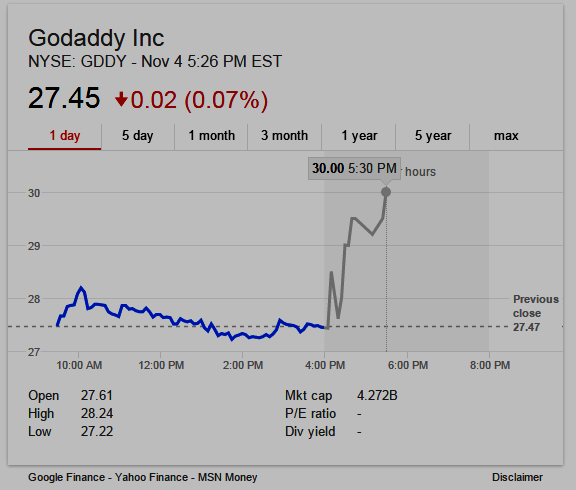 GoDaddy's IPO launched in April, 2015, at a $20 IPO price; the post-IPO opening trade was $26.15.